My goal was to find an internship experience that incorporated the fields of both Historic Preservation and Urban Planning. I was fortunate enough to be given an opportunity to do that in Rio de Janeiro, Brasil by Washington Fajardo, President of Instituto Rio Patrimônio da Humanidade (Institute of Human Heritage for Rio de Janeiro), an institute organized by o Gabinete do Prefeito (the Office of the Mayor). 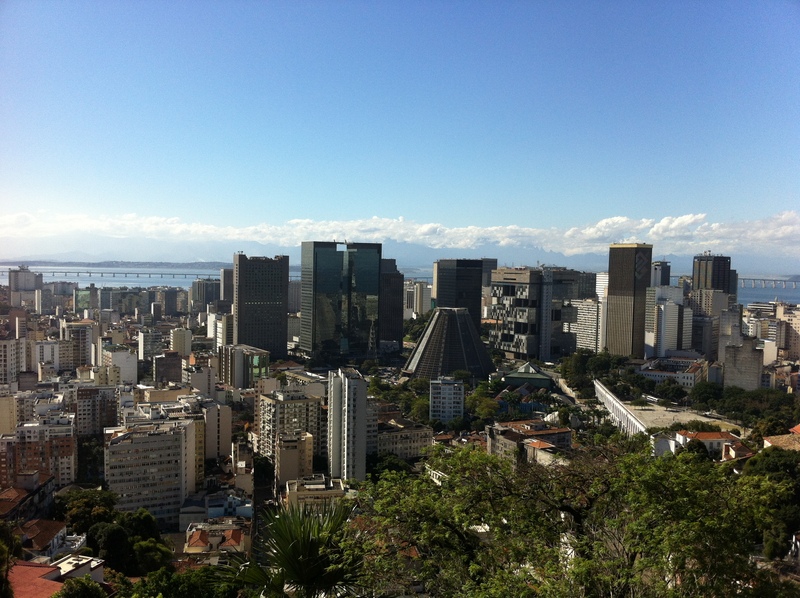 Rio de Janeiro is an historic city that has been occupied since the mid-eighteenth century, and it is in the midst of significant revitalization due to mega-events taking (or soon to take) place. Plus, I had some background in the Spanish language, so it was the perfect choice, right? Despite my tripping through the Portuguese language upon arrival, I received a warm welcome in Rio. Within the Institute, I worked in the Gerência de Intervenção Urbana (Department of Urban Intervention) with Marisa Moreira, overseen by Aline Xavier, on Projeto Vazios Urbanos, a project aimed at identifying empty and/or abandoned lots within the historic city center/o Centro that could potentially be developed with residential use in mind. Historically, residential use was discouraged in the downtown until 1937, when it was prohibited. Residential use was not encouraged in o Centro until 1994. The need for housing, specifically affordable housing, has become a pressing reality in a city that is rapidly growing in population and visitors. Incentivizing residential use in o Centro seems to be a promising way to help alleviate the need for housing and to bring new life to the historic downtown. One of the challenges faced in developing within the historic city center is accommodation with what already exists. 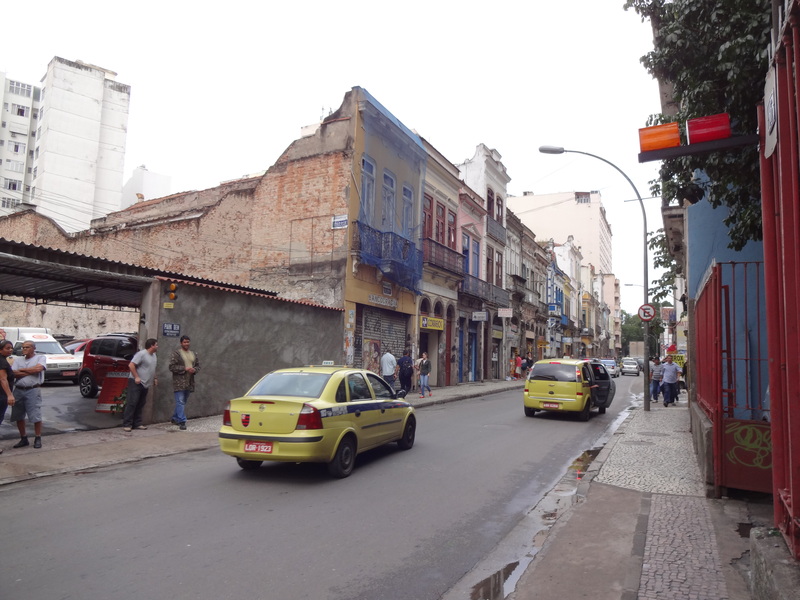 Fortunately, much of the historic fabric in Rio is documented, and many significant historic properties are designated. Like the United States, there are national, state and municipal levels of designation and protection for significant historic properties. Also similar to the United States, properties can be designated individually or within an area of protection. Protected properties are generally referred to as tombados. Historic areas of the city are divided into APACs (Áreas de Proteção do Ambiente Cultural – Protected Areas of the Cultural Environment). Out of the existing sixteen APACs in the City of Rio de Janeiro, we focused on three of them within o Centro – (1) SAGAS (Saúde, Gamboa & Santo Cristo), (2) Corredor Cultural and (3) Cruz Vermelha – for Projeto Vazios Urbanos. Initially, many potential sites for construction were identified. Because of various laws regarding protected historic properties, some sites could be omitted from consideration. For the remaining sites, we were able to draft appropriate volumetric parameters for each lot with regard to zoning and preservation laws. We were able to visualize these by combining 3D models from SketchUp with available 3D constructions in Google Earth. By the time I returned to New York City, the number of potential sites for development had been narrowed down to about eight. Ultimately, one site will be selected for construction – at least initially. The idea is to carry out the project on one site and evaluate before continuing to build. 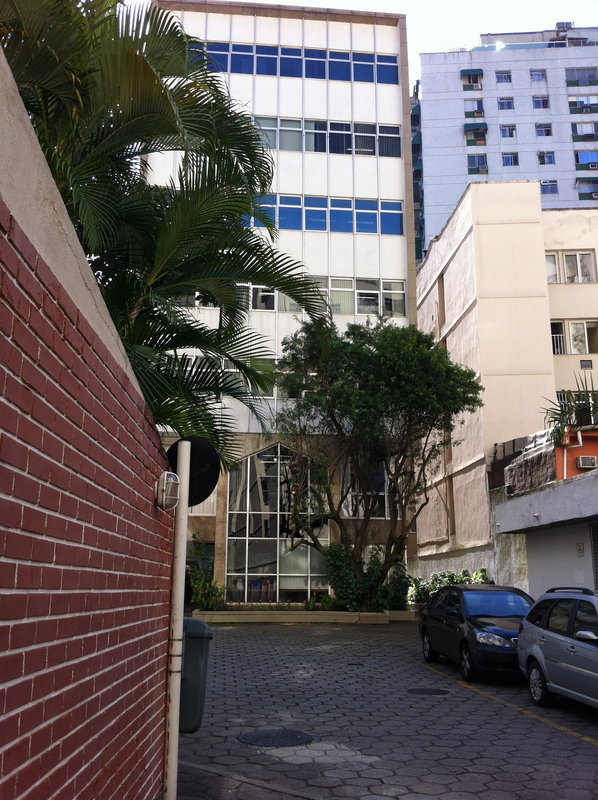 I have high hopes for the project, for the integration of historic fabric and new development, for the future of housing and for the City of Rio. I’m grateful to have been a part of it. I hope I made a contribution and that I’m able to return soon.